Carolyn is a Business Development Manager within Invent – DCU’s Technology Transfer Office and works closely with DCU’s Research Hubs and external industrial and commercial partners to develop collaborations and commercial exploitation of DCU’s innovative technologies through licensing and the development of new start- up companies. Carolyn’s portfolio is centred around the Sustainable Economies and Societies Research Hub which covers a broad range of research in the sectors of Water, Energy, Engineering and Manufacturing supported by DCU’s underlying expertise in the areas of chemistry, analytical separation science, sensors, novel materials, physics, electronic and nanomaterials, plasma technology and engineering. Carolyn’s expertise lies in commercialisation of innovative technologies. Carolyn has practical experience in technology licensing, the formation of new start-up companies and structuring effective collaborations between industry partners and DCU. 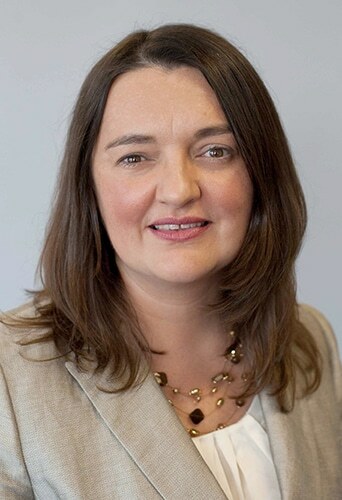 Prior to joining DCU, Carolyn held a variety of commercial roles in industry spanning product management, new product introduction, business development and commercialisation management within the semiconductor, instrumentation and industrial gases sectors. Carolyn holds a B.Sc. (Hons) degree in Chemistry and a Ph.D. in Physical Chemistry from the University of Manchester, UK.